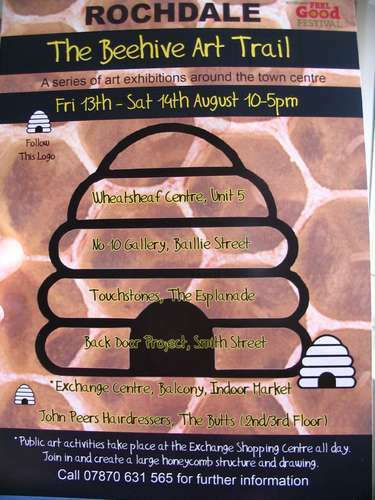 Using empty shops and offices in Rochdale, the Beehive Art Trail showcases the work of 25 local artists as well as providing opportunities to make art. It’s part of the Rochdale Feel Good Festival on Friday 13th and Saturday 14th August 2010. This entry was posted in Exhibitions, News, Uncategorized by Carole. Bookmark the permalink.